Insects do not breathe through their mouths as we do. The do not have lungs and their blood, which is a watery, yellowish liquid, does not carry oxygen and carbon dioxide around their bodies. Insects have a system of tubes, called tracheae, instead of lungs. 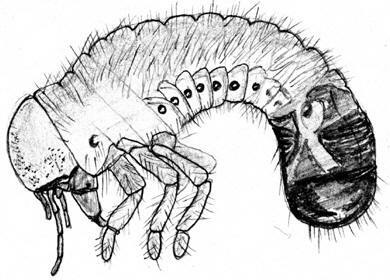 These tracheae penetrate right through the insect's body. 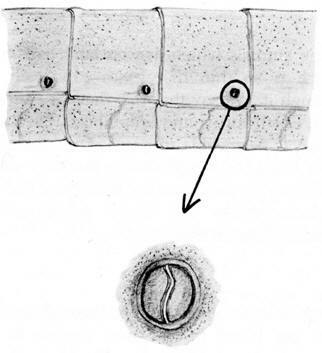 Air enters the tracheae by pores called spiracles. These spiracles are found on each side of the insect's abdomen. Each segment of the abdomen has a pair of spiracles. 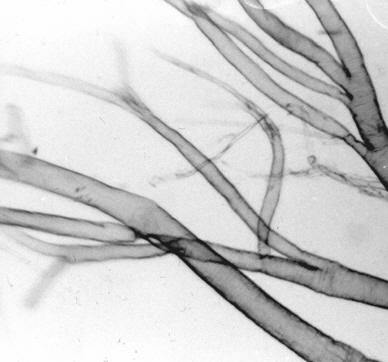 The air passes into the tracheae which branch into smaller and smaller tubes, in a similar way to the bronchioles in our lungs. The tracheae finally come to an end in the tissues which are respiring. Here in the tissues the oxygen is taken from the air in the tracheae. At the same time carbon dioxide enters the tracheae so that it can be expelled from the body. The process of breathing in insects is slow. 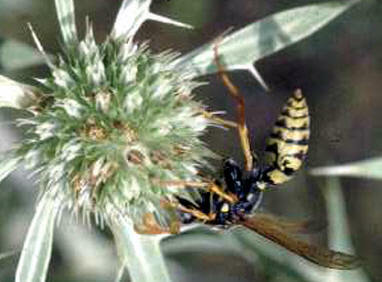 Large, active insects, however, may pump their abdomens to help quicken the movement of these gases. It is interesting to note that the tracheae are supported by strengthening rings, just like the tracheae in our breathing system. The strengthening rings are made of chitin, which is the same material as we find on the outside of the insect. Scientists think that it is the breathing system of insects which keeps them so small. 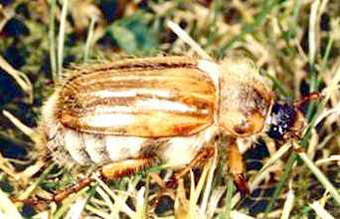 The insect which has the largest body is the Goliath Beetle which lives in the tropics. This beetle is only 15cm long. It is true that some butterflies and moths have wings which make them bigger, but the wings of an insect do not need to be supplied with oxygen. Most insects are less than one centimetre long. The spiracles on the sides of the insect's body can be closed by valves. It is difficult to drown an insect because, when it is under water, it closes the valves. This prevents water entering the tracheae and, with air in its body, the insect will tend to float. Small insects and insects which are not very active are able to rely on enough oxygen reaching their tissues through their spiracles. Active insects, however, need to speed up the movement of oxygen to their tissues. They pump their abdomens in and out, using muscles. This helps fresh air to enter the tracheae. A locust tends to move its abdomen lengthwise, making it longer or shorter. 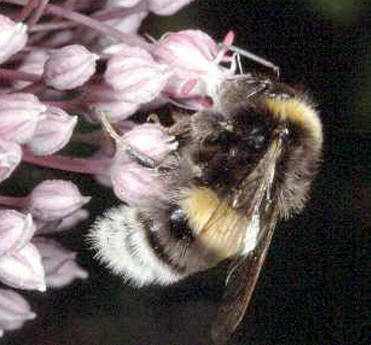 A honey bee uses a width-wise movement, making the abdomen wider or narrower.